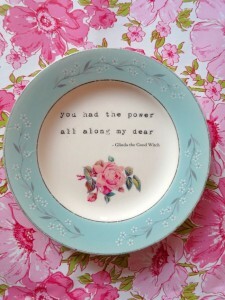 Mitzi Curi at Mitzi’s Collectibles created these beautiful plate pedestals from plates she discovered at flea market. 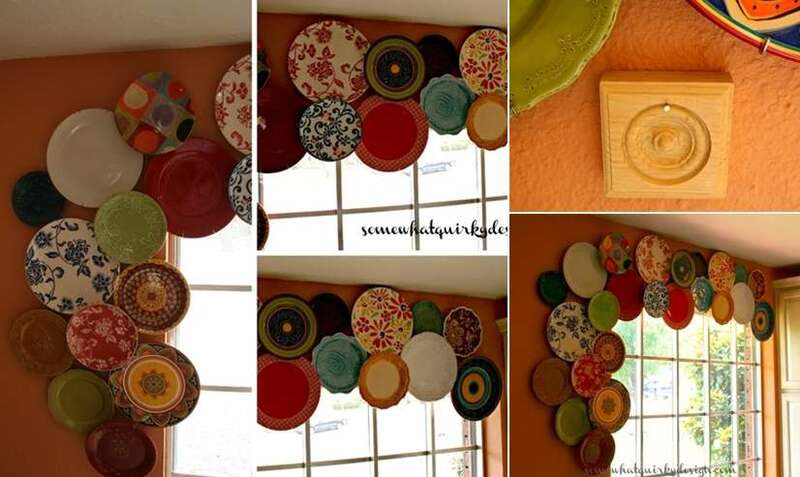 Karen via Somewhat Quirky Design shares a picture of a wonderful window valance created from plates. 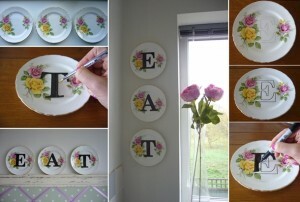 That’s just so clever! Anna at Florence Finds shares a project of three china plates getting the form of a wall art saying ‘EAT’ with a magic ingredient and that is none other than a sharpie marker. Spittin Toad Blog came up with a cool garden art where different sorts of dishes collected in garage sales were transformed into a garden art. 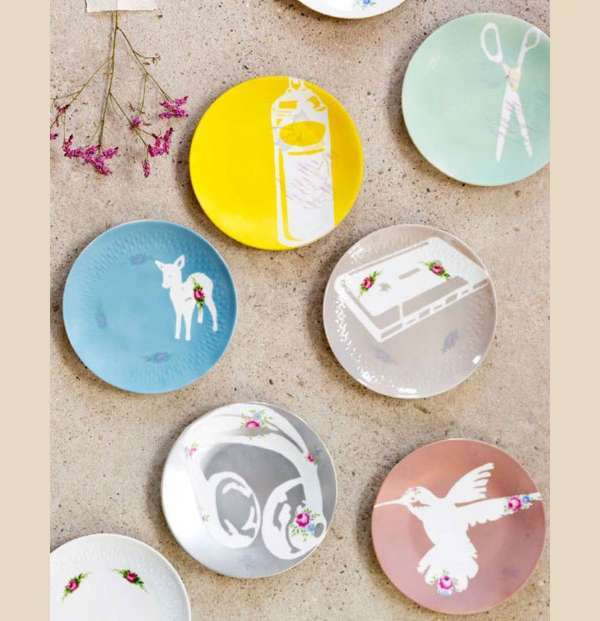 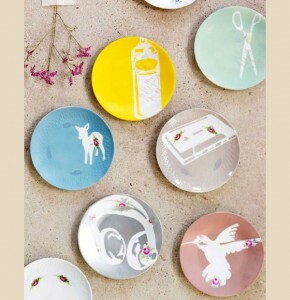 Stone Gable Blog has such a lovely idea to end the journey of your plates right in the kitchen where they started it. 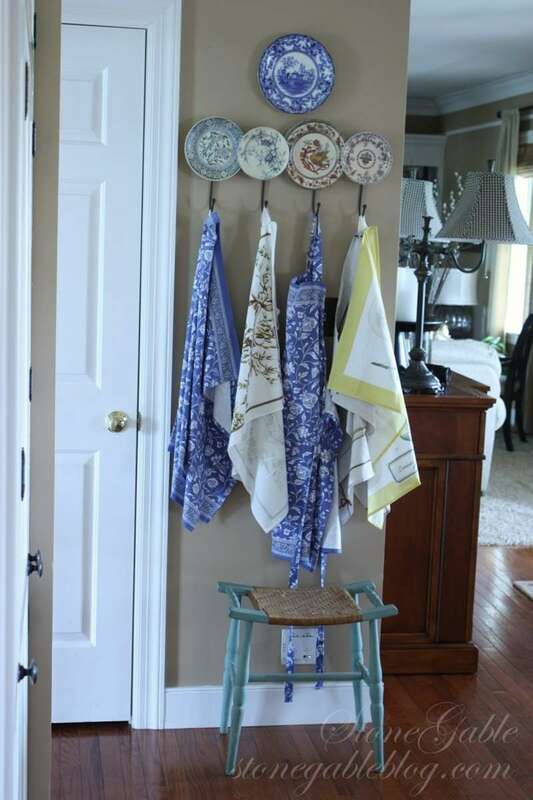 Simply attach hooks to different plates and fix them on a wall in a row to hang your aprons. 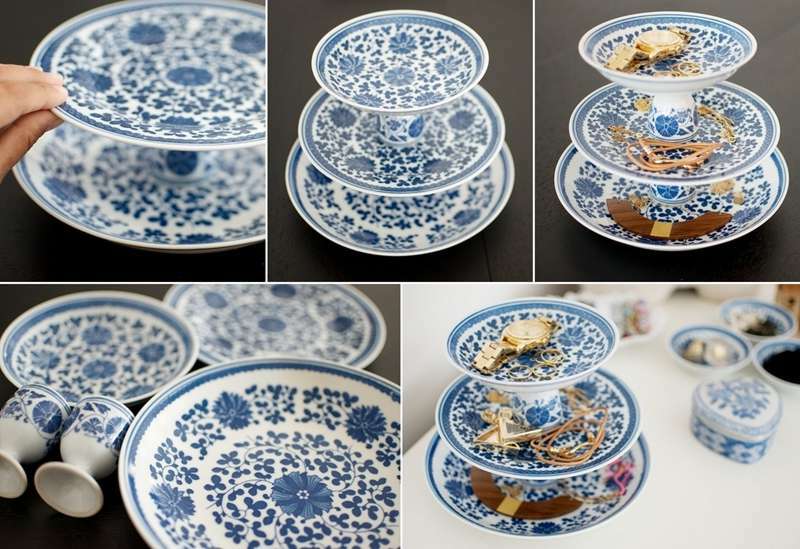 Geneva at A Pair and A Spare shares an idea for your jewelry organization. 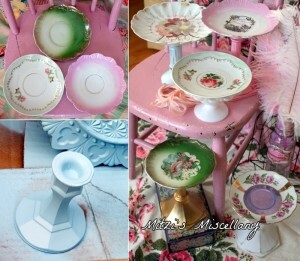 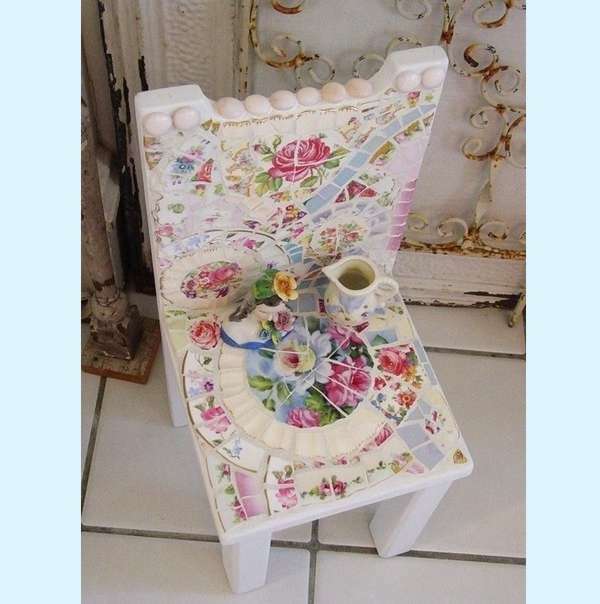 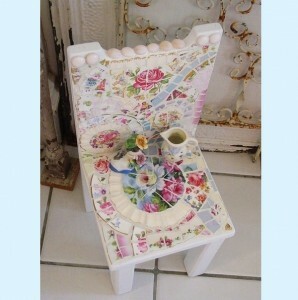 Simply create a jewelry stand with some vintage china dishes and small cups. 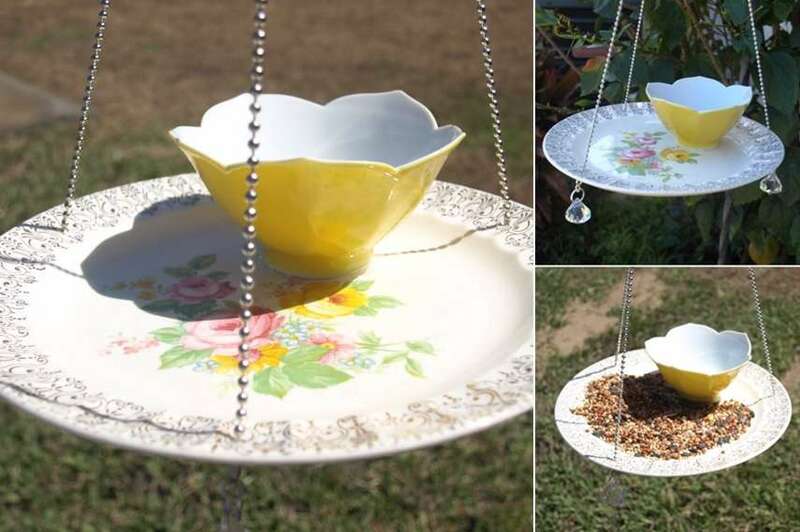 Etsy Shop ARTful Salvage has such an inspirational idea where you can make a beautiful bird feeder from an old china plate by drilling holes and hanging it through chains. 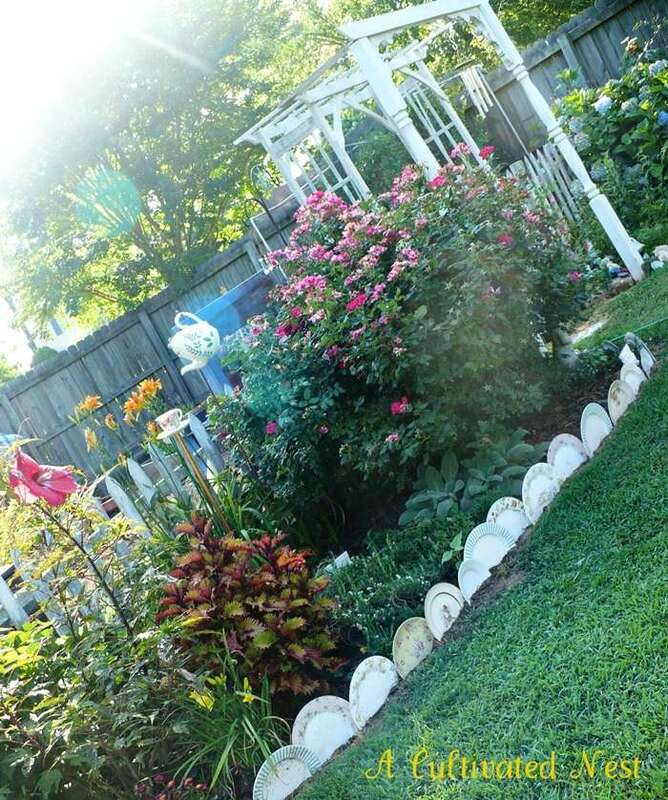 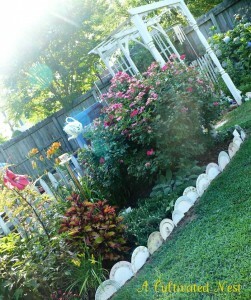 Manuela Williams at A Cultivated Nest shares a wonderful way to edge your garden beds. 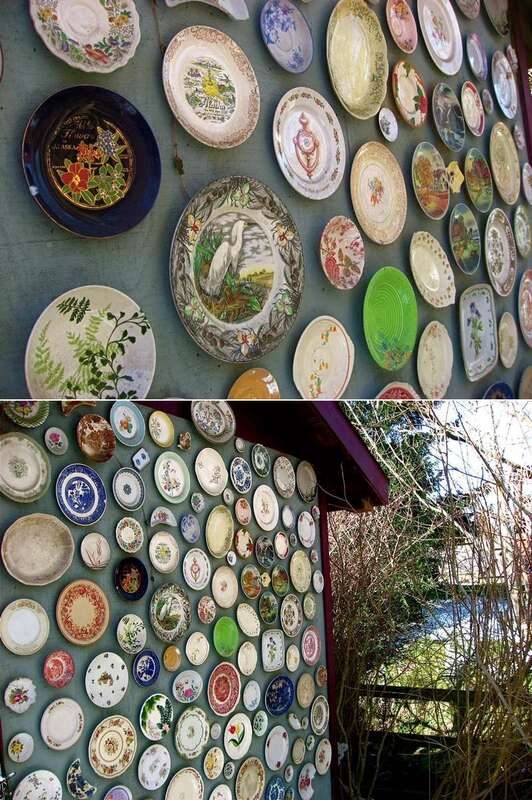 Simply start collecting old dishes and once you are done with collecting and you have enough amount, use them to edge your garden beds. They look really stunning and terrific. 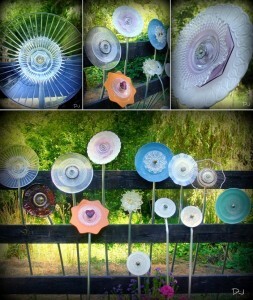 Sherie Tillman via Pinterest has another marvelous idea for your garden decor. 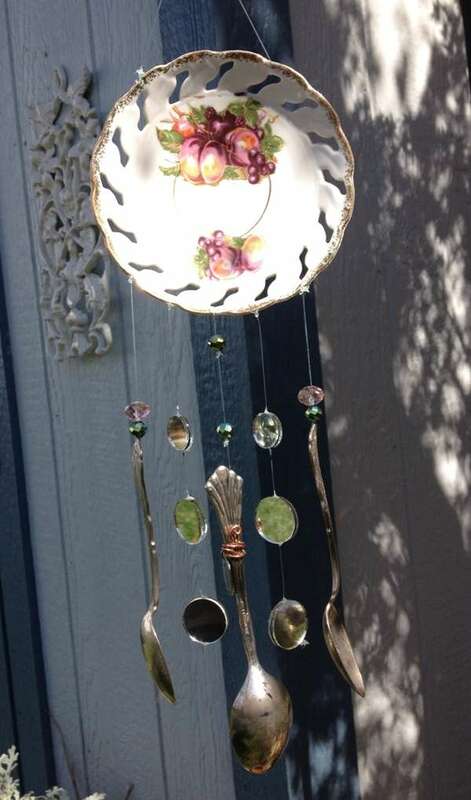 If you happen to have even one plate with some old spoons, use them to create a wind chime that you will love to see everyday in your garden. You can use your own imagination too and can attach something else than spoons as well.